University of the Pacific will honor the life of alumnus and Professor Eric Hammer '73 who passed away on Jan. 28. 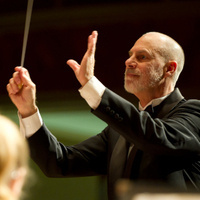 Dr. Hammer had recently announced his retirement after a 26-year career as director of bands and professor of music education in the Conservatory of Music. Dr. Hammer's spirit enlivened us all, and he will be greatly missed. The Conservatory of Music invites all family, friends, colleagues and members of the community who wish to honor Dr. Hammer's life and contributions to music education to join us at this special celebration. "Eric's love of music and enthusiasm for life touched everyone who had the privilege of being in his presence. He connected with generations of young people, inspiring many of them to study music at Pacific and to become lifelong musicians and Pacificans," said Pacific President Pamela A. Eibeck. "His passion for Pacific was clear; he embodied the best of our university community." The event will include a wind band performance. Musicians wishing to participate in the ensemble are asked to register online here.